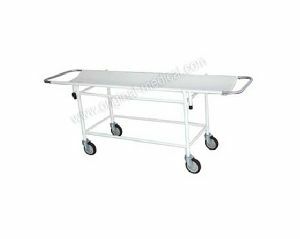 Fixed height, Aluminium top & M.S. 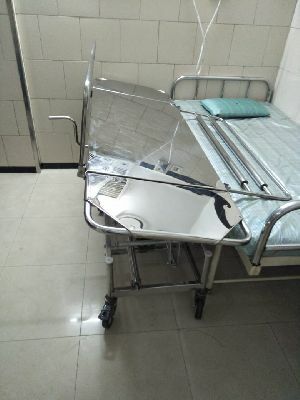 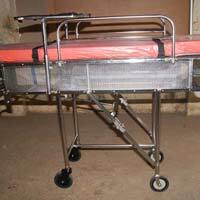 frame (Supplied with 25 mm mattress, Saline rod, Oxygen cylinder cage). 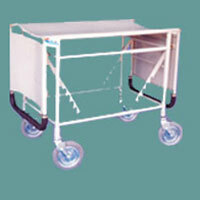 Made of mild steel powder coated.Oven baked.With Alu. 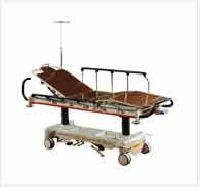 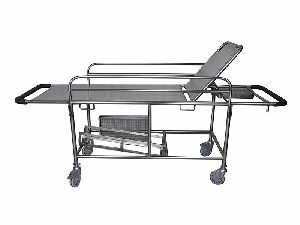 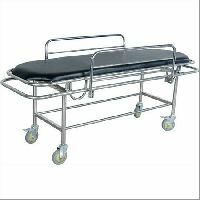 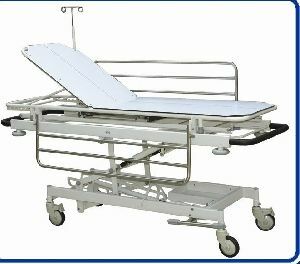 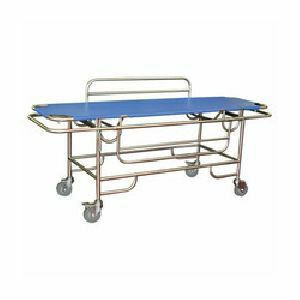 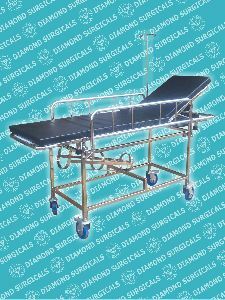 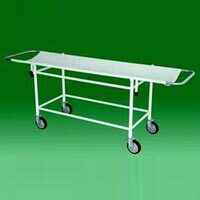 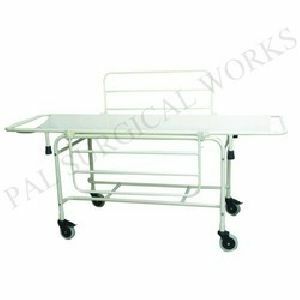 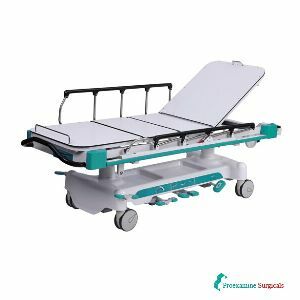 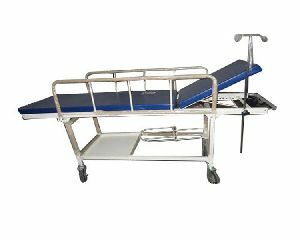 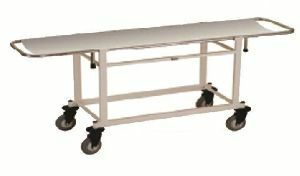 top & MS frame with 25 mm thick mattress.With Oxygen cylinder cage.With 15.0 cm heavy duty castors, 2 nos. 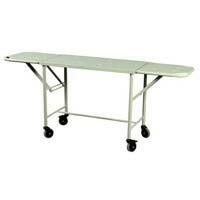 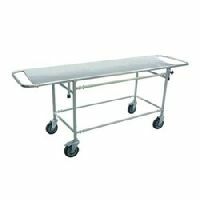 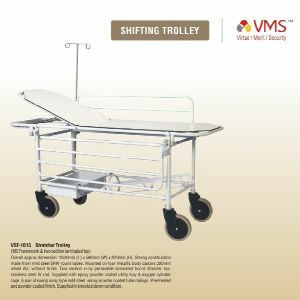 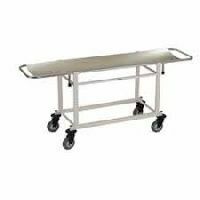 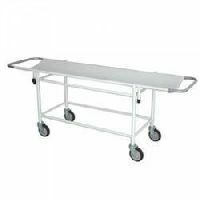 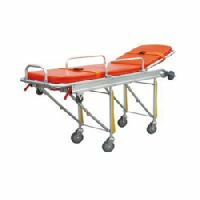 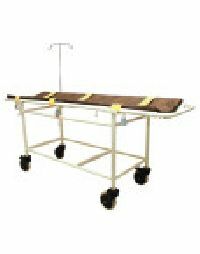 with brakes.Detachable stretcher on 6 legs on trolley. 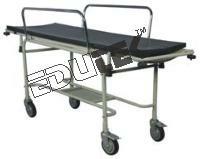 Size : 2082 × 860 × 608/923 mm.